Getting a flight quote from Blue Star Jets is now easier and more accessible than ever after the company has launched a new mobile app for Palm, Blackberry, Android and iPhone smartphone users. The new mobile app allows users to retrieve a free flight quote from Blue Star Jets right from your finger tips. 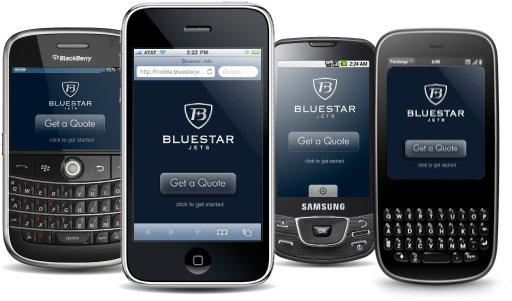 To download the app, visit www.bluestarjets.com/mobile.